YOU REALLY GOT THAT ONE.!! 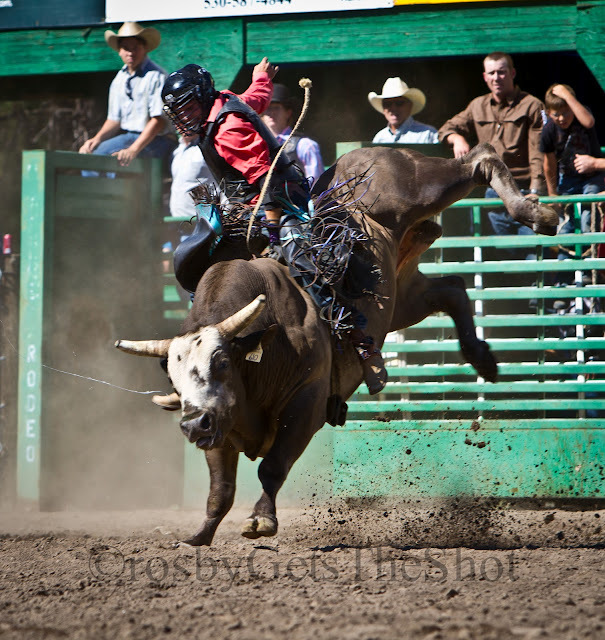 I love the spit line coming from the bulls lips. when i did this we didn't get helmets, face masks or vests. you would have been laughed out of the arena. great shot. they all are.